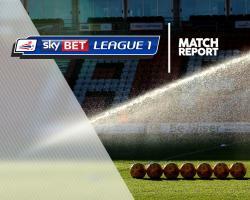 Sheffield United continued their promotion push with a 4-0 win over Swindon at Bramall Lane. The visitors had the better of the opening exchanges but the hosts grew into the game with creative midfielder Duffy at the centre of the action. Level at half-time, United started the second period with greater urgency and were ahead after 52 minutes. Duffy's sliced shot was initially saved by Lawrence Vigouroux, but the goalkeeper spilled the ball and was unable to prevent it crossing the line. The Blades had a second two minutes later as Duffy laid the ball off for Coutts, who smashed home from 16 yards. Duffy's second and United's third after an hour put the game beyond Swindon, as he slotted past Vigouroux from Billy Sharp's cross. It was 4-0 when substitute Lavery found the far corner from close range in the 77th minute.